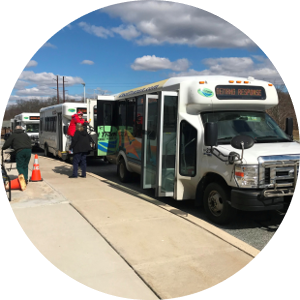 Through many studies of specialized transportation, including services for older adults and people with disabilities, KFH Group has provided clients with strategies to effectively meet specialized transportation needs through efficient services and enhanced coordination in local, regional, and state-wide service structures. We have a thorough understanding of differing approaches to costing services, given agency or provider objectives and available funding sources, and extensive experience in preparing locally developed, coordinated public transit-human service transportation plans as required under federal transit law. KFH Group has also worked in a wide variety of capacities related to accessible taxi services, paratransit planning and performance evaluation, and compliance with the Americans with Disabilities Act (ADA).